Shopping for a home mortgage is one of the most complicated financial processes that many people ever go through. There are several ways to find a mortgage, but the most common methods are to look for a mortgage with several different mortgage lenders or mortgage brokers. Many people do not understand the difference between these two methods. When you decide it’s time to buy a home, one of the first things you’ll need to learn about is getting a mortgage. A mortgage is a loan using the home you’re about to buy as collateral. If you’re unable to make your payments, a lender will foreclose on the home. Lenders will have a variety of requirements for you to meet in order to qualify for a loan, but having a good credit score and a significant down payment will help a lot. Mortgage brokers are typically privately owned companies that do the footwork of finding the right mortgage for an individual or family. These businesses typically have relationships with a number of banks and mortgage lenders that have been developed over years. They do not actually make mortgage loans. Because they don’t actually make mortgage loans, many people don’t understand exactly what it is that mortgage brokers do or how they can help them. Brokers are able to present several different loans to their clients, allowing them to find a loan with the lowest interest rate and/or best payment terms. This can save their clients a lot of time and effort over applying for loans with several different banks or lenders. In addition, many mortgage brokers are able to negotiate with the banks and lenders they have relationships with. Often they are able to get lower interest rates or reduced fees in exchange for bringing new business to the lender. Of course, it is important to be careful when using a mortgage broker. Some of these companies receive commissions and kick-backs from the lenders and banks they get their mortgages from when they sell a mortgage to a client. Because of this, some brokers do not recommend loans with their client’s best interests in mind. Make sure that you understand the payment terms of any mortgage you take out, and think about how you will afford the payments. Fortunately, most mortgage brokers have a lot of experience in the mortgage market, so ask them a lot of questions about any loan you’re thinking about taking out. Mortgage lenders are usually individual banks that will actually make a mortgage loan to an individual, family, or company. While these companies are usually full-service banks, they can also be stand-alone establishments that only provide mortgages. A mortgage broker typically deals with a wide variety of lenders and banks. 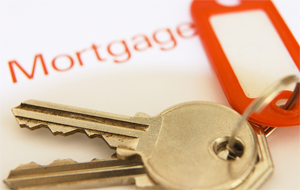 Mortgage brokers do not directly fund mortgages. A mortgage lender, on the other hand, directly funds the mortgages they approve. Mortgage lenders do not work with multiple lenders or banks. If you want an easy way to get a variety of mortgage quotes from different sources a mortgage broker is the way to go. As with any financial transaction, make sure you understand the terms of everything you agree to and do your own research.